Tacoma Locksmith 24 provide FAST emergency locksmith service in Tacoma WA, for residential, commercial, and automotive. Because our professional and experience 24 hour locksmith Tacoma team local in Tacoma, we offer 25 minutes response time from the moment you called to request a service. Our emergency locksmiths fully equipped with tools, locks, keys, and parts to get to work immediately, and to complete any job quickly and effectively. Locked Out? Lost Keys? Need Your Locks Changed or Rekeyed? Our Professional Help is a Phone Call Away! Tacoma Locksmith 24 technicians stand by 24/7 to get you the help when you are in emergency situations, whether you need an eviction service, or after you experience a break-in, our 24 hour locksmith Tacoma WA service cover it all! 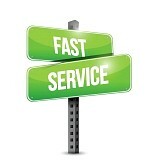 FAST Service – 25 minutes or less! Tacoma Locksmith 24 serving customers in Tacoma WA since 2007, We always strive for 100% satisfaction of our customers. We never leave a job without fully completed or without make sure everything is working properly. We earn our reputation over the years because we worked hard, and we pay attention to details.